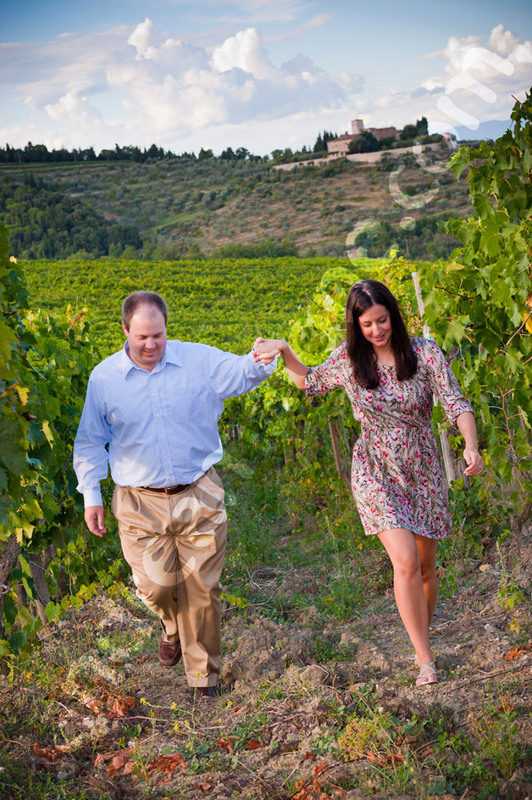 Here is a beautiful engagement photo session photographed in Tuscany Italy. 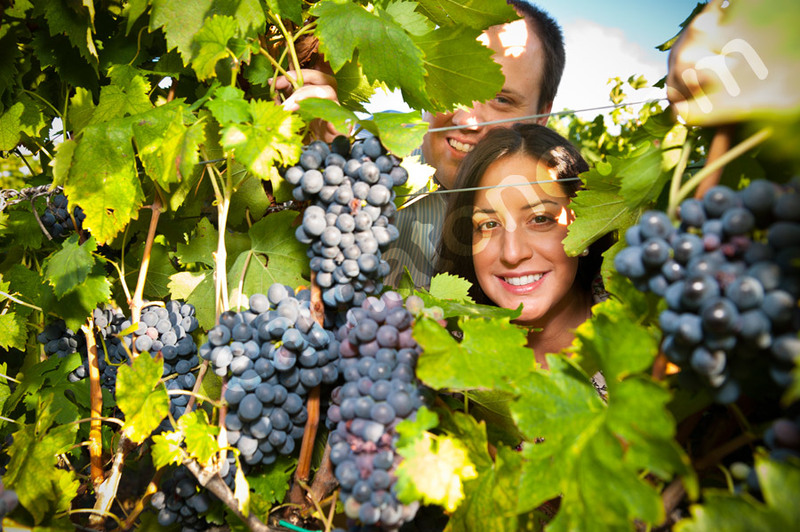 There is no other place on earth like the Italian Tuscan countryside. Such enchanting views of rolling hill side slopes and small vineyard valleys. Around us just absolute silence interrupted only by the summer breeze of relaxation. Villa Bordoni in Greve in Chianti is such a romantic venue. A sophisticated country house hotel immediately above the town. 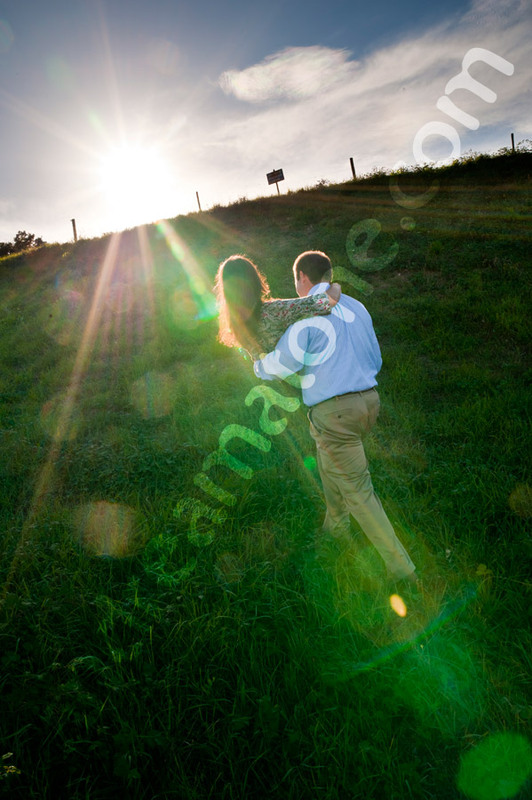 As a photographer I was struck by the beautiful location at sunset and by the courteous welcome. I was offered an unexpected cool glass of enchanting white wine while I was clearing the dust off my jacket. It was a wonderful sensation. Thank you so much! 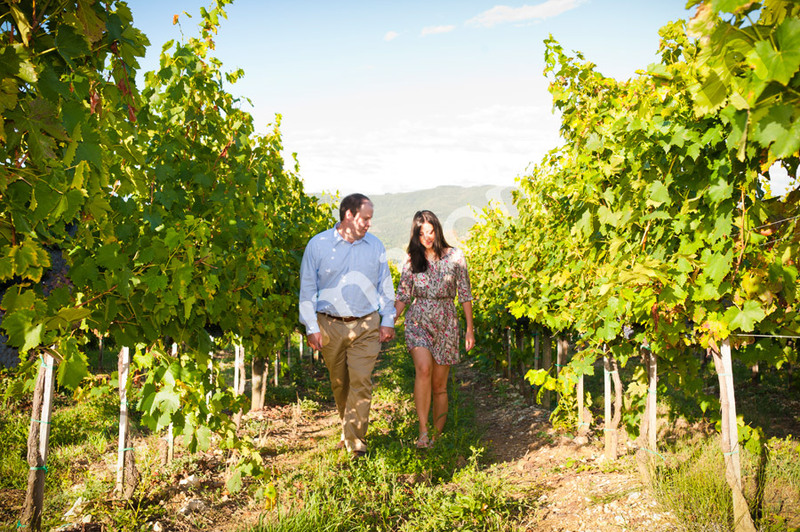 A beautiful engagement session taking place in the beautiful rolling hills of Tuscany. 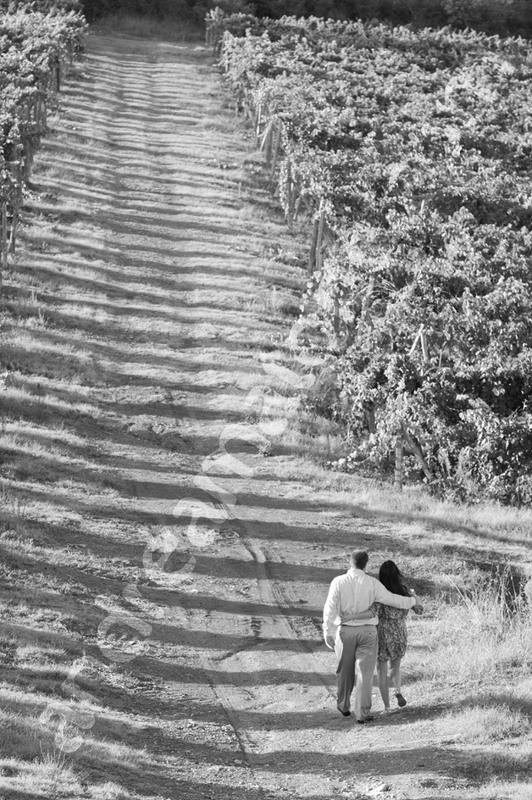 In between vineyards and sweeping views.